German artist Wolfgang Tillmans received the Hasselblad Foundation International Award in Photography, presented to him by HRH Prince Carl Philip November 30. On December 1, the Hasselblad Foundation organised a symposium in Wolfgang Tillmans’ honour, with lectures by Tom Holert, Art Historian and Critic; Melanie Vandenbrouck, Curator of Art, and Marek Kukula, Public Astronomer, both from the Royal Observatory, Royal Museums Greenwich; as well as an artist talk with Wolfgang Tillmans. The same day, an exhibition with the Award Winner’s works opened at the Hasselblad Center. Wolfgang Tillmans’ exhibition installations are groundbreaking in their non-hierarchical and experimental approach, and the Hasselblad Award show manifests his consistent and eloquent use of photography in investigations of what it means to observe. Tillmans’ engagement in the politics of non-normative cultures and sexualities has been evident since his earliest photographic work from around 1990. Since then he has also consistently explored portraiture, of musicians, artists, activists and friends alike, documented the nightlife of Western metropoles, details of bodies and still lifes from everyday surroundings – thus repeatedly seeing the world anew through a reworking of classical genres. Another important strand throughout the exhibition is the conceptual study of materiality, as in the the Silver, Lighter and Paper Drop works, which all explore photography itself and the dynamics between chance and control. The exhibition also includes a selection of tables from the series truth study center, where the surface allows montages of research into truths, science and dogma. Finally, the circulation of images is also visualised in the new video Printing Press Heidelberg Speedmaster XL – Real Time Total Eclipse Nightfall and Exit, where the mechanical rhythm of the printing press is juxtaposed with the pace and duration of nature’s macrocosm. The book Wolfgang Tillmans: What’s wrong with redistribution? can be regarded as an extension of the exhibition. It is edited and designed by Wolfgang Tillmans, published by Verlag der Buchhandlung Walther König and includes a new commissioned essay by Tom McDonough. 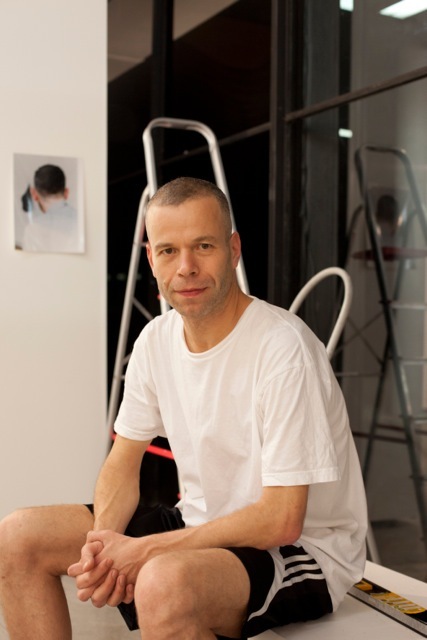 Read more about the Hasselblad Award 2015 to Wolfgang Tillmans.